Former Crawley Town player Nicky Ajose has been nominated for the Sky Bet League One Player of the Year Award. Playing for Swindon, the 24-year-old striker has shone for his team by scoring 23 goals this season. He spent five months on loan at Broadfield Stadium during the 2012-13 season playing under then boss Richie Barker, when he made 19 appearances, nine of which were from the bench, and scored four goals. 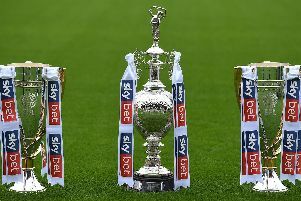 The other players nominated are Gillingham midfielder Bradley Dack and Walsall midfield player Romaine Sawyers.